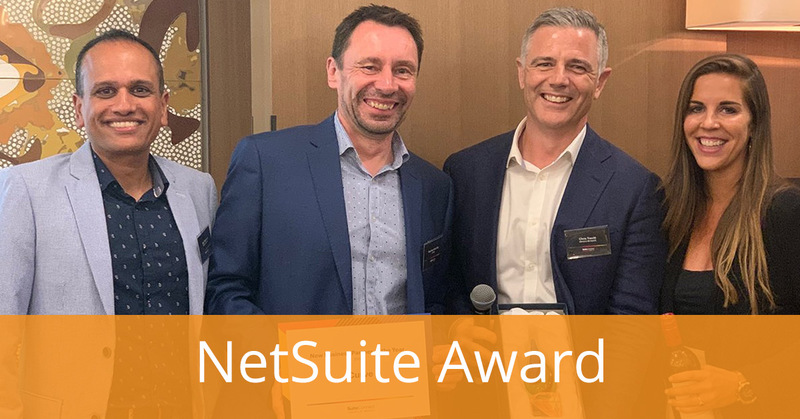 In the lead-up to NetSuite's SuiteConnect 2019 event, NetSuite hosted an awards ceremony to celebrate the achievements of its top A/NZ partners. JCurve Solutions (ASX: JCS) was awarded the New Business Partner of the Year. JCS has brought more new business logos onto the NetSuite partner than any other A/NZ partner and holds the distinction of being the #1 NetSuite partner globally. With over 600 successful ERP implementations and an experienced team of NetSuite experts, JCS continues to establish itself as the NetSuite partner more customers trust to implement their ERP solution. See the full ARN article for more detail or see more of JCS' awards wins. Interested to learn more about NetSuite? Find out how NetSuite ERP software can help your business grow, faster.